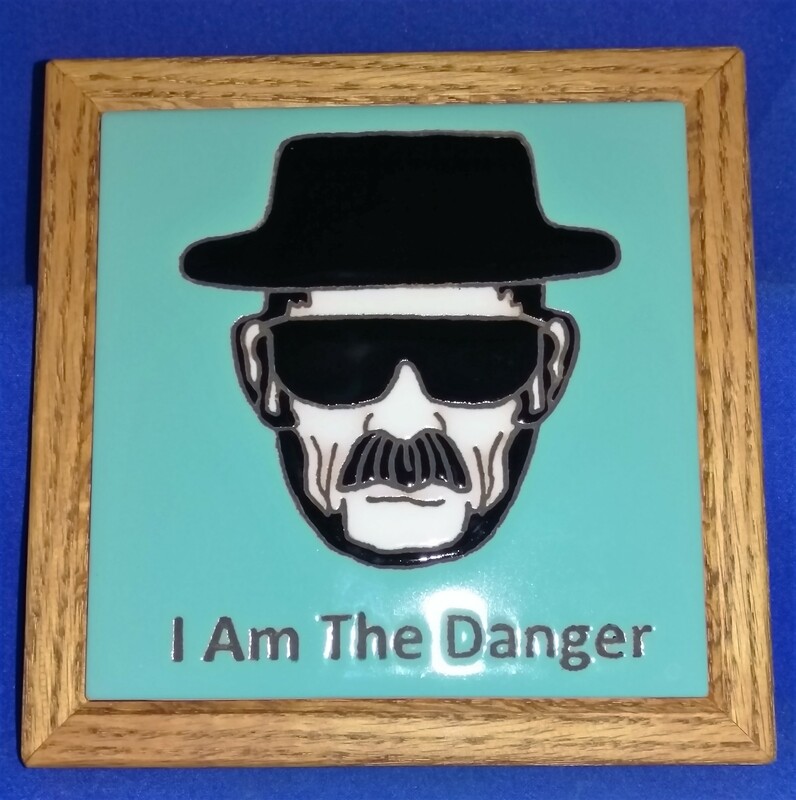 These are Italian glazed Terracotta tiles with the Heisenberg profile and choice of two famous lines from the TV show. These tiles have become a favorite to many Breaking Bad fans. Each Tile is glazed and fired for durability. Indoor is recommended, and outdoor use requires tile to be treated with water sealant before use. Customers find numerous uses, such as on wall decorations, hotplates(trivet), Desk Art, and Large Coasters. This item is created and professionally made entirely in Albuquerque, NM by local craftspeople.